The protected reserves along the Garden Route are havens for aquatic life and depending on the season many juvenile tropical fish follow the warm Mozambique current all the way down to our little piece of paradise. Our beautiful snorkeling tour is a memorable way to explore this fishy playground with breathtaking views of the Knysna Heads as you drift peacefully over the sunken frame of the Paquita, a German vessel that sank on the East side of the Knysna Heads in 1903. When conditions allow we are also able to explore the beautiful tidal pools at Buffalo Bay. 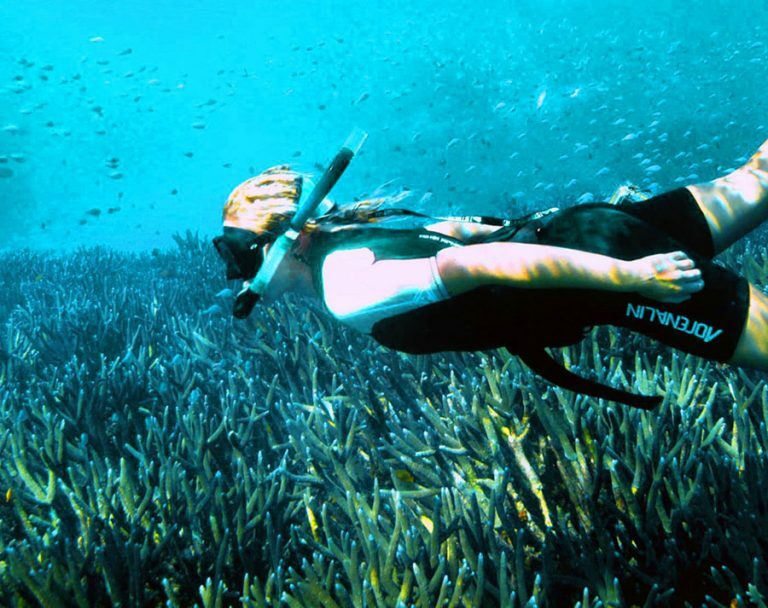 Both are ideal snorkeling locations for both beginner and experienced divers. Experienced instructors guide group tours through these aquatic playgrounds for an hour and a half of fun and adventure and all snorkeling gear is provided. Birthday and Business functions are possible in groups of 12 or less. Prior booking is essential to ensure that all tours are conducted during safe and favorable conditions.